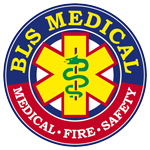 For many years we concentrated on providing only Basic Life Support (BLS) courses, such as First Aid training, hence our name – BLS Medical. Over time it was recognised that medical practitioners also needed access to top quality training to meet the requirements of their professions such as Continued Professional Development (CPD) points and other industry related courses. BLS Medical is not only able to present some of these courses but also offer CPD points (CEUs) for the training completed (approved and accredited) by the HPCSA.